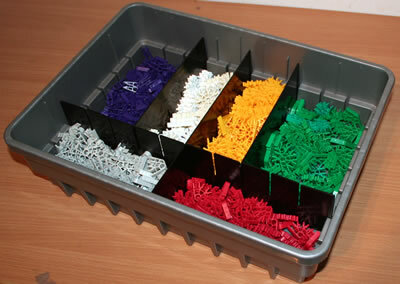 These are the classic K'NEX clips available. All dimensions shown are approximate. These are all new parts - we do not sell used KNEX. We also have some Bulk offers available on classic K'NEX clips. Blue half of the K'NEX hinge. Fits onto 90919 K'NEX Hinge - Black half. 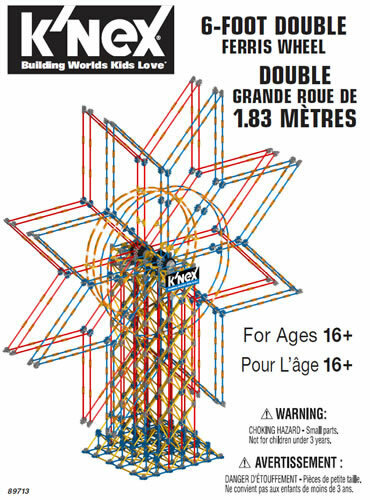 As used in K-Force sets. May be joined into the 90945 K'NEX Clip with Socket end, to make a small ball and socket joint. 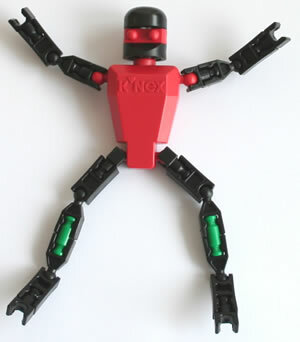 May be joined onto the 90940 K'NEX Clip with Ball end, to make a small ball and socket joint. This item is supplied as a set of two parts, ready for assembly into the ball and socket shown in the photo.